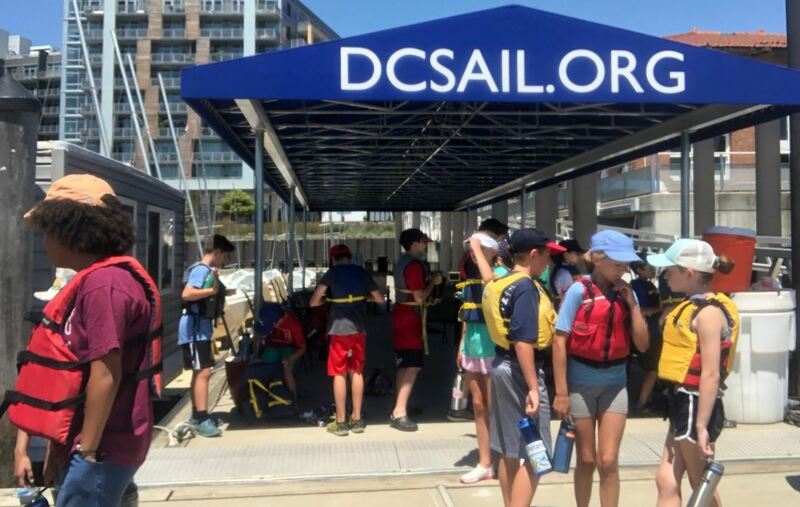 DC Sail's greatest goals is to allow DC youth to interact with and experience the waterways that surround their city. Through Kids Set Sail and the High School Racing Program. DC Sail is able to provide fun and educational sailing programs to the children of the Washington, DC area. Each of our youth programs follows the STEM (science, technology, engineering, and math) curriculum and use the exciting sport of sailing to develop self-respect and sportsmanship, foster teamwork, as well as cultivate sailing skills and an appreciation for maritime-related activities. Click HERE to make a donation and sponsor a sailor!